SHUZI is the most respected and utilized subtle energy jewelry product on the market today. Used by over 500 doctors, chiropractors, and holistic practitioners, Shuzi helps bring your whole being into a state of balance where your body is stronger, your thoughts are clearer and your endurance levels are increased. Shuzi uses Nano-Vibrational Technology (NVT) to create a stronger frequency for your biofield enabling your body to resist the effects of any stress, including EMF (Electro Magnetic Frequencies) from cell phones and other appliances. Electromagnetic fields can stress the body in several ways, such as affecting your heart rate, disrupting your brain activity during sleep and even reducing your body’s production of melatonin, thereby diminishing your resistance to diseases such as cancers. FREE shipping (Continental US Only) on orders over $100! Sorry, but we do NOT ship Shuzi products to Canada or anywhere outside of the US. How can Shuzi help me? and those cells of which it is comprised, enabling your body to more capably resist the effects of any stress it’s subjected to. Your body can reset and self-correct more quickly and easily. Cells communicate with each other by known methods of chemical reactions and through the biofield. They have a resonating frequency at which they operate in order to stay healthy, but these cells are affected by outside electric and magnetic environmental conditions. Subtle vibration can reinforce a cell’s natural frequency to override outside environmental influences, which cause cells to communicate better. This is important because when cells lose the ability to communicate with other cells, they become isolated and less effective. It has been theorized that cancer or tumor cells are isolated cells that have lost their ability to communicate. Shuzi enhances cellular communication. Shuzi reinforces cells natural frequencies, keeping them strong. You will notice enhanced energy and strength, greater endurance and flexibility, and better balance and mental focus. Shuzi effectiveness is scientifically proven. BioMeridian is the world’s largest manufacturer of Meridian Stress Assessment instrumentation, FDA-registered medical diagnostic equipment used by doctors and health practitioners around the world to assess functional health. These machines measure stress and energy levels in the human body. Upon completion of BioMeridian testing, Shuzi was proven to effectively lower and balance stress levels in the human body. What have others said about Shuzi? I haven’t taken the Shuzi off since I received it. I’ve been in the “body business” since 1965. As a speaker, writer and guided imagery expert, I travel a lot, present in huge convention centers, use my cell phone all the time and am at my computer more hours than I care to think about. 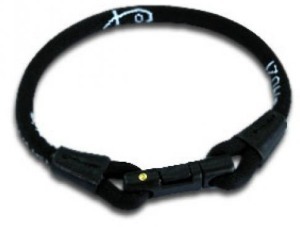 Since I started wearing the Shuzi (rhymes with Suzy) I have more energy, greater clarity and less jet lag. It’s going to be my standard Holiday gift this year! Trust me, it’s good for your body. All Shuzi products carry a one-year manufacturer’s warranty. Also, you may return your Shuzi product for any reason for a full refund (not including the original shipping charge or a 10% restocking fee, whichever is larger) within 90 days of purchase. 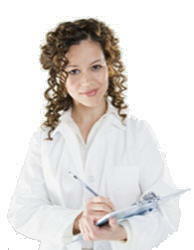 Please contact us first and receive our acknowledgement. Following that, your Shuzi must be returned in original condition for the refund, as above, to be given. 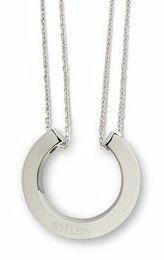 All of our Shuzi pendants, cuffs and bracelets and are shipped by USPS Priority within the Continental 48 US. We DO ship to Alaska and Hawaii—read below. Shipping is FREE (US 48 states only) for orders over $100. 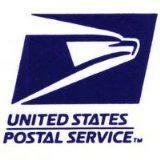 US 48 states USPS Priority Ground shipping for orders under $100 is $9.95. 2nd Day Express within the Continental US —please add $18.95. Allow 3 to 6 business days’ delivery time for USPS Priority. Order 4 or more of any of our Shuzi products and get a 5% discount— in addition to FREE shipping. We’re so sure that you—and your friends—will be thrilled with your new Shuzi that we’re offering a 5% discount on the purchase of 4 or more Shuzi products—and FREE shipping too! 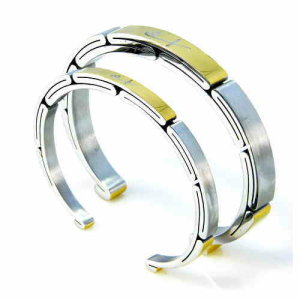 Stylish Shuzi bracelets and cuffs are available in a variety of finishes and beautiful durable materials. 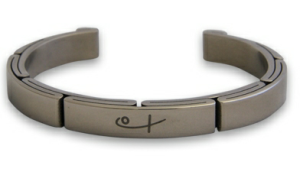 Clean and contemporary, the stainless steel Shuzi Classic bracelet uses subtle vibration programmed at the nano-level, Nano Vibrational Technology (NVT), to supply health benefits such as greater energy, enhanced strength and balance, and improved mental clarity, blending style and function. FREE US 48 states Ground Shipping! Choose: Men’s/Women’s, Size, Quantity, then “Add to Cart”. Price: $264.99 including FREE 48 State shipping! This Shuzi’s men’s cuff has clean lines and a brushed finish of sleek titanium, making it a classic and functional accessory. This cuff uses subtle vibration programmed at the nano-level, Nano Vibrational Technology (NVT) to supply health benefits such as greater energy, enhanced strength and balance, and improved mental clarity, blending style and function. Price: $419.00 including FREE 48 State shipping! 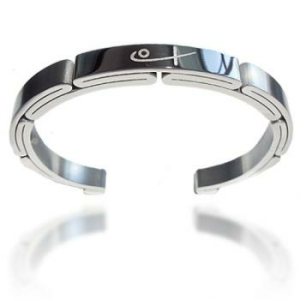 Clean and contemporary, the Two Tone stainless Shuzi bracelet uses subtle vibration programmed at the nano-level, Nano Vibrational Technology (NVT), to supply health benefits such as greater energy, enhanced strength and balance, and improved mental clarity, blending style and function. Price: $270 including FREE 48 State shipping! The rugged Black Stainless steel Shuzi cuff uses subtle vibration programmed at the nano-level, Nano Vibrational Technology (NVT), to supply health benefits such as greater energy, enhanced strength and balance, and improved mental clarity, blending style and function. Price: $279.99 including FREE 48 State shipping! This attractive Shuzi piece is light in weight, but a heavyweight in function. Its NVT technology strengthens and fine-tunes the human biofield, making your mind and body more resistant to the effects of stress in any form. 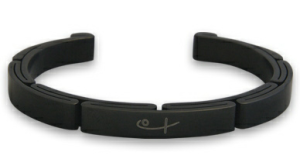 All link bracelets come standard in 7.5 inches, but can be adjusted by your jeweler. 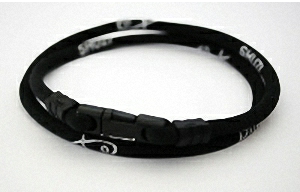 This unique, lightweight virtually indestructable bracelet has the same trusted NVT technology as our entire Shuzi line. All link bracelets come standard in 7.5 inches, but can be adjusted by your local jeweler. Price: $277.56 including FREE 48 State shipping! Price: $239 including FREE 48 State shipping! Our Sport Band is specifically designed for an active lifestyle. 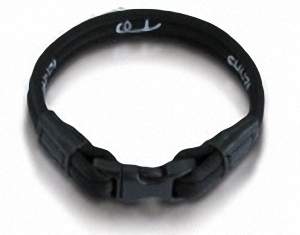 Sport Bands have a long lasting silicone webbing covering allowing it to be worn in and out of the water, on the field, or anywhere you need the Shuzi Qi difference. Perfect for athletes, children, or anyone who lives an active lifestyle—in two modern styles: FLAT and CORD. US 48 states Ground Shipping $9.95. Stylish Shuzi pendants are available in a variety of finishes and beautiful durable materials. Price: $234.99 including FREE 48 State shipping! 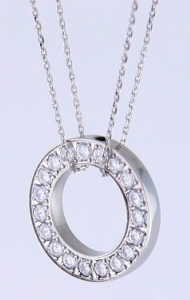 Sparkling yet subtle, the Shuzi Eternity Pendant is sterling silver and crystal-encrusted; includes silver chain. 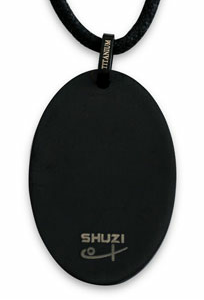 All Shuzi pieces contain the trusted NVT technology chip. Price: $339 including FREE 48 State shipping! As the latest addition to the Shuzi line, the Lux pendant blends fashion and function with its clean lines and fresh titanium finish, and the same trusted NVT technology found in all Shuzi pieces. Don’t let this lightweight pendant fool you— it has the same NVT powerhouse as our other Shuzi products, in a simple yet striking pendant. It comes with a black cord. Price: $199.99 including FREE 48 State shipping! 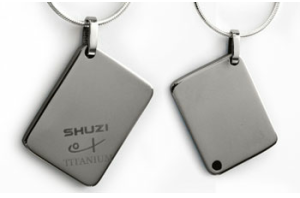 The sleek titanium Tag pendant boasts the same reliable NVT technology as all Shuzi pieces. 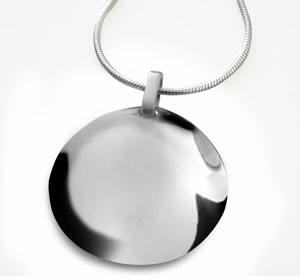 Available in a brushed or polished finish. Comes with silver chain. Choose: Finish, Quantity, then “Add to Cart”. Price: $151 including FREE 48 state shipping! 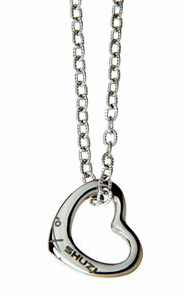 This stainless Steel Heart pendant is perfect for expressing your feelings for that someone special. Includes an 18″ silver chain. The new Shuzi Sport Band necklace is a lightweight silicone necklace infused with liquid titanium and contains the Shuzi NVT chip. Perfect for atheletes, children, or anyone who lives an active lifestyle. Comes in 3 sizes: S, M, L.